Parker® Ballpoint refills fit a range of pens, as their cartridge size is the standard ballpoint refills size used internationally. 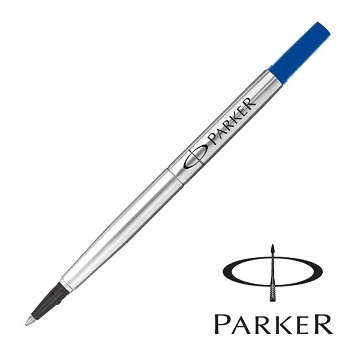 Use genuine Parker® quality refills for a smooth constant flow; avoid negating the Lifetime Guarantee. Blister card containing one ball pen refill. Available in 3 nib sizes: Fine, Medium and Broad. 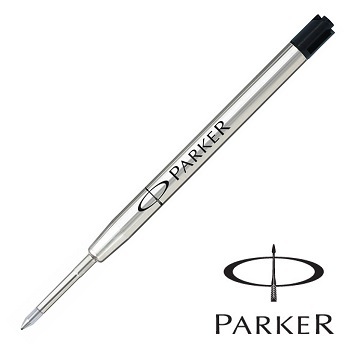 Parker® Rollerball refills are made to the highest standard we have come to expect from Parker. Blister card containing one rollerball pen refill. Available in 2 nib sizes: Fine and Medium. 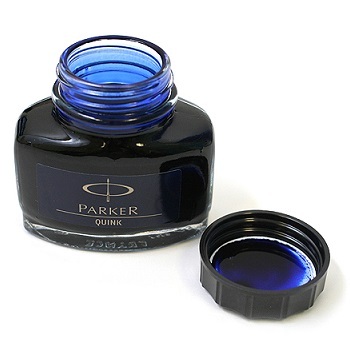 The Classic Parker® Quink is a high-quality and smooth flowing ink that has been used for almost a century. Quink ink (named by blending the words "quick" and "ink") is a specially developed ink for rapid absorption and drying for 'no mess' writing. Individual 57ml bottle of permanent ink. Available in a choice of ink colours.